BRAY BOXING CLUB has been shut down indefinitely following last week’s shooting which saw one man killed and two others injured. As first reported by Irish-boxing.com, Wicklow County Council has taken back the keys to the premises. A statement released by the Council to TheJournal.ie confirmed that it had retaken control of the boxing gym and is consulting with its members with a view to ensuring the gym is fit for public use. 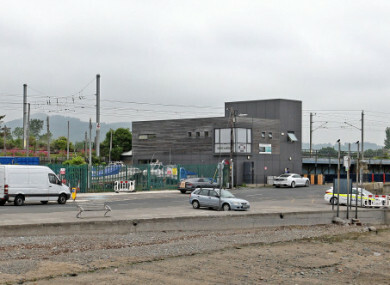 “Following the tragic incident earlier this week Wicklow County Council has now secured the building,” the statement read. As owner of the premises, the Council has a responsibility to ensure that the building is restored to a condition fit for community use. Arrangements are being made to carry out an examination of the facility with a view to undertaking any necessary repairs. Sinn Féin’s John Brady told TheJournal.ie that, as he understands it, the council issued a legal letter to Pete Taylor last week. Taylor had been the head trainer at the club. The letter stated that the club should be vacated and the keys handed back. It is understood the locks of the gym were also changed in the last week. Brady said many members of the gym want to see the club continue. He added that there were many people in the gym – those who have attended it for many years – who are qualified in the sport and would be willing to take on the lease and ensure the continuation of the club. Brady also said that there needs to be conversations about keeping the amenity open for the community, stating that these might very well be “difficult conversations”, but the best thing for both the club and its members needs to happen now. The Sinn Fein TD suggested that the lease be renegotiated in light of recent events. “A proper, strong lease must now be put in place,” he said, before adding that there are people locally who would be willing to take it on. He said the process underway now must be brought to an end quickly, stating that there should be “no protracted legal process”. Obviously there is still a level of trauma felt by everyone in the area. But I certainly think Bobby Messett would want it opened up, and members would like to see the club as a lasting legacy to Bobby. The harbour club was the training base for London Olympic champion Katie Taylor until 2015, but the current WBA and IBF World lightweight champion last week reiterated that she has had “no contact or association whatsoever with Bray Boxing Club” in the intervening years. Both during and since Taylor’s departure from the gym within which she honed her skills ahead of her Olympic gold, Bray Boxing Club has played host to a number of amateur prospects as well as professional fighters. Email “Bray Boxing Club shut down by Wicklow County Council following fatal shooting”. Feedback on “Bray Boxing Club shut down by Wicklow County Council following fatal shooting”.